Do you know any of the details of this photo? 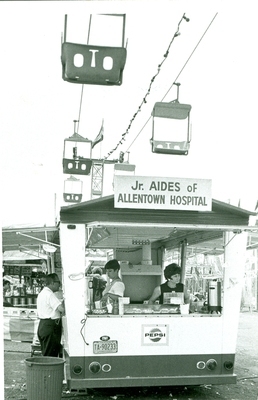 Who are the women in the Jr. Aides of Allentown Hospital booth? What fair is this?